Nargis Azim was born and raised in the United States and is the eldest of five children. Coming from a large family, she grew up very family oriented and loves spending time with her sisters and little brothers. She comes from a mixed cultural background where her mother is from Hyderabad, India and her father is from Kabul, Afghanistan. She speaks both Farsi and Urdu and grew up dancing to Bollywood songs and the Afghan attan. 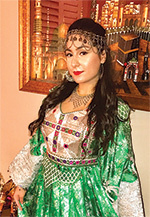 She was heavily involved in the Multicultural Student Union in school and performed Bollywood, Afghan, and belly dances. She is a University of Central Florida graduate and currently works as a Civil Engineer. She was inspired to pursue this profession by her late grandfather who was the first Dean of the Faculty of Engineering at Kabul University in Afghanistan. She is an avid chai drinker and her favorite superhero is Spiderman. Her interests include dancing, paintballing, solving puzzles, and playing with her baby kitten Badmaash. Ashley Shah, 27, was born and raised in Orlando, Florida. She is also the mother of two wonderful kids, Isabella and Isaiah. Enjoying family time with her kids is what she loves the most. 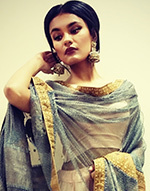 She was the winner of Miss Indo-Caribbean 2011 and has been modeling since her teenage days. She graduated in 2012 with her dental assistant degree. One day, she dreams to become a Bollywood actress (crosses fingers). 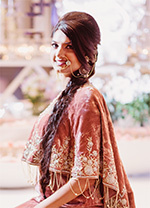 Not only has she been modeling for the My Shaadi Bridal Expo for about nine years now, but has been modeling professionally. Rosanna earned her Juris Doctorate from Florida Coastal School of Law and graduated with a certificate in International Law. She earned her Bachelor’s of Arts from Stetson University where she majored in Political Science and International Relations. She currently works at the Law Office of Paulette Hamilton assisting with divorce, immigration, and bankruptcy matters. Rosanna was published as a contributor in the International Lawyer Year in Review 2015 Kickoff for the Africa Committee. Her written contributions focus on facts based upon extensive research of the political environment in Somalia and Burundi with respect to First Amendment freedoms and country conditions. In 2015, Rosanna served as a panelist for TedX FSCJ which she helped facilitate a discussion on Refugees, Immigration, and Muslims in America. 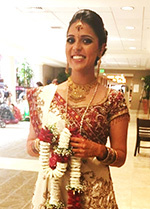 Rosanna has participated as a model in the Desh Videsh Orlando Bridal Expo since 2009 and regularly features clothing items by LeTrend Boutique. 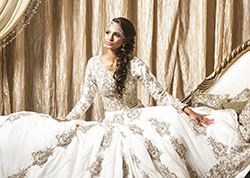 She was featured on front cover the Desh Videsh magazine Luxury Edition in November 2015. Rosanna’s hobbies include drumming, paddle boarding, and traveling internationally. She also enjoys belly dancing for parties and wedding events. Mohamed enjoys trying new things, making new friends and traveling. Malini Bhramdat, is a dancer and model by passion and student by nature. A recent graduate from the University of Central Florida, she earned a Bachelors Degree in Social Work. She is currently pursuing a Masters in Social Work and aspires to be a mental health counselor. One step at a time, she believes everyone can contribute to making a difference. Her favorite quotes comes from Gandhiji, “Be The Change That You Wish to See in The World,” is exactly how she plans to live her life. She truly believes that the most important thing we have is love. Dash and sprinkle love everywhere and watch how the world blooms! 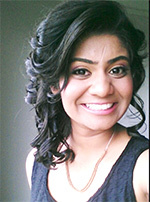 Etee Patel, 23, is currently starting her third year of medical school. Beautiful clothes have always been one of her greatest passions. 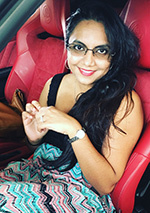 Sapna Mehta Patel is a Registered Nurse at Winter Park Florida Hospital. She loves making a difference in people’s lives and being a part of their road to recovery. Most of all, she loves spending time with her amazing husband and chocolate labrador Peanut. 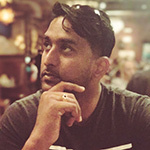 Zeel Patel is a graduate from the University of Florida with a Bachelor’s in Biological Sciences in Medicine. Currently she is pursuing her dream of becoming a doctor. In her free time, she enjoys spending time with her family and friends, traveling, modeling and dancing. In the future, she wants to serve others by opening up a clinic to treat those in need. Her favorite quote is “In the Joy of others lies our own” by Pramukh Swami Maharaj, and she tries to live by these words in her day to day life. Born Guyana, South America. Singing and dancing are my passion. I love puzzles, history and art. My favorite painter is Vincent Van Gogh. I love working with my hands and making things. I’m a very adventurous person and I love learning about new things and meeting new people. Born in Brooklyn NY, Singh has lived in Florida near all his life. He loves cars, watches, and building things. A business administration major, Singh is a hands on worker. He loves working with people, and he especially enjoys making them laugh! Singh’s hobbies include soccer and going to the gym.